Anti-spam: What is four plus six? 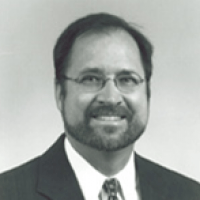 Francis X. Markert is Of Counsel member of Keevican Weiss & Bauerle LLC. Mr. Markerts practice is concentrated in environmental regulatory compliance and construction matters while leading projects for several environmental engineering companies including IT Corporation and Shaw Environment & Infrastructure, Inc. (formerly ICF Kaiser Engineers). Resolved construction disputes and mechanic's lien settlements for third party claims against clients. Participated in deposition and discovery actions in conjunction with federal and state agency negotiations for environmental release. Managed and led the characterization and assessment of a facility consisting of a former coke oven / coal gasification plant in operation approximately 70 years. Provided negotiation support in challenging the EPA's $20 million past cost recovery action for the site, which resolved into a $2 million site development fund. Organized the first Project XL Superfund site to be indoctrinated into the program, resulting in reduced regulatory requirements, flexible cleanup goals and a reduction in reporting requirements. Served as program manager for property transfers and environmental liability transfers for mine reclamation sites. Provided regulatory interpretation, federal and state agency negotiations, insurance policy underwriting and risk transfer funding and site restoration work. Developed and supervised remedial designs, site historic studies and hydrogeologic, geologic and chemical characterization studies on RCRA and CERCLA sites. Conducted regulatory opinion and interpretation work of CERCLA, RCRA and State environmental and brownfield regulations pertaining to site cleanups and future redevelopment plans.